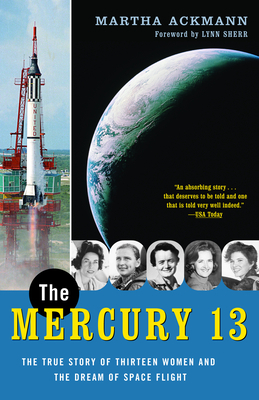 For readers of The Astronaut Wives Club, The Mercury 13 reveals the little-known true story of the remarkable women who trained for NASA space flight. Martha Ackmann teaches at Mount Holyoke College, is a frequent columnist, and has written for publications including The New York Times, The Boston Globe, the Chicago Tribune, and the Los Angeles Times. Ackmann is co-recipient of the Amelia Earhart Research Scholars Grant. She lives in western Massachusetts. Lynn Sherr, correspondent for the ABC News program 20/20, covered NASA and the space program in the 1980s, anchoring and reporting on all the early shuttle missions, through the Challenger explosion and the subsequent Rogers Commission hearings. Sherr was a semifinalist in the (now abandoned) Journalist-in-Space competition. She lives in New York.